I know what it’s like, that feeling of panic as it sweeps over you in a flash from nowhere. The feeling that you have to run and hide though can’t move because of the weakness. That you have to instantly go to the toilet yet can’t bear the thought of using a tiny public lavatory (suppose I get locked in?) And the sheer terror of not knowing when any of this might happen again. It’s exhausting, day after day after day. It took me 15 years to find a cure but you can stop panic attacks now if you can correct these 5 mistakes that you are currently making. It’s an easy enough assumption to make as the panic attacks seem to come from out of nowhere but the real problem is not that first flash of panic but the fact that you are terrified of the feelings. If you can take that fear out and not be scared of HOWEVER you are feeling they simply do not happen, ever again. To solve this problem you need to learn EFT (Emotional Freedom Techniques). 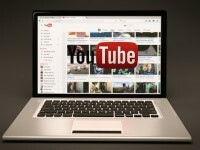 This simple technique will take your fear on any topic down to zero, very fast. It is a method which utilises tapping on the meridian points while saying out loud a statement of how you are feeling. You take a reading before and after so you can quickly verify your results which gives you confidence to continue. This is a big one and what stops most panic attack sufferers from getting excited or involved with anything. The symptoms of panic attacks are caused by an increase of adrenaline so any feelings that are similar instantly make you think you are about to have an attack. At one point I couldn’t bear to watch game shows as the anticipation was just too much for me. Once you add even more adrenaline to the mix and increase your heartbeat by even a millisecond you start to freak out again. Your chest is clenched tight, you can’t breath, and some well meaning person is saying, take a deep breath now. And all you can think is, are you mad, why would I want my head spinning even more? The thing is that hyperventilation causes the exact same symptoms as panic. When you can’t breath you are breathing from your chest, in essence overbreathing, and a few deep breaths from your abdomen will stop this almost instantly. The trick is to practise when you are feeling relatively ok and feel safe, so when you start to feel uncomfortable you can take a single deep breath, really feeling your abdomen pushing out, which will quickly rebalance your blood oxygen levels and et you breath easily again. It’s easy, I know, if you are suffering from panic and anxiety to let it completely overtake your life. After all, every little thing you do must be planned and your feelings taken into account which turns every activity into a major event. Make today the last day this happens. Take time to project your interest and attention onto something else, maybe a hobby you used to like doing, reading a book you have been meaning to get round to, constructing the Taj Mahal out of matchsticks, whatever you once spent hours being immersed in without a second thought. Make a special effort to acquire the materials needed to direct your attention away from yourself. Phone some friends and resist the temptation to talk about yourself. Genuinely engaging with others has a profoundly healing effect on you and those around you who may be feeling neglected while you have been busy coping with your own feelings. Do one thing today that has nothing to do with your panic. People who suffer from panic attacks constantly berate themselves for being weak and wimpy and this is just not the case. You are managing to manifest some major psychosomatic symptoms and that’s powerful reality creation. Just think what you could do if your conscious and unconscious minds were working together, wow! Be kind to yourself, even forgive yourself for what is happening right now and know that you have the strength to do something about this. And remember, while you are recovering do not push yourself or feel you have to do everything you are asked to prove yourself. Your biggest strength lies in being able to say NO loudly and without guilt. You CAN do this, if I can, anyone can! 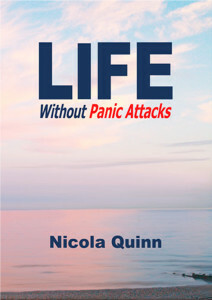 And if you need my help just mail me or read my book Life Without Panic Attacks which contains all the information you need to stop having panic attacks now! Find out how to become panic free in just 7 days, no courage required.